K&N are without doubt the market leader and godfather of performance air filters. The K&N brand is known worldwide as the leader in performance filter technology. 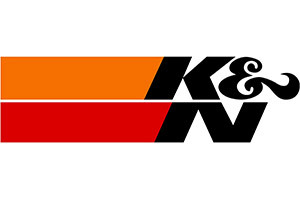 From humble beginnings as a family run business over 35 years ago, K&N engineering, now is a truly global business with an enthusiast mindset and a direct connection with motorsport that carries over throughout all levels of management and manufacturing. Today K&N exists as both the sales and brand leader for performance filters, and maintains a stocking catalogue of over 35�000 part numbers, including an extensive line of both factory replacement drop in filters and FIPK (fuel injection performance kit) applications. K&N filters feature a high-flow cotton gauze technology to help your car breathe easier, increasing its power and torque and because K&N is a lifetime filter, it never needs replacing. K&N manufacture a massive selection of panel filters, induction kits and specialist air filters�. . all with the world famous million mile warranty!